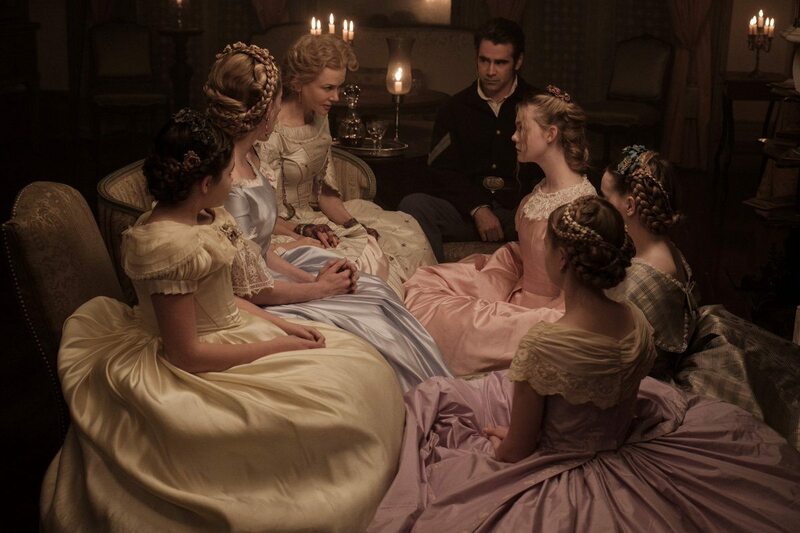 Although The Beguiled and Phantom Thread tell very different stories, they share a unique plot device that connects the two films, allowing them to complement one another in unexpected ways. Beware: spoilers ahead! On paper, there appear to be very few similarities between The Beguiled and Phantom Thread. Coppola’s film, adapted from a 1966 novel of the same name, tells the story of an all-girls Southern boarding school during the Civil War and the events that transpire after the women take in a wounded Union soldier. On the other hand, Paul Thomas Anderson’s Phantom Thread, inspired by gothic romances like Rebecca, follows the deeply romantic and somewhat twisted love affair between a renowned dressmaker named Reynolds Woodcock and a resolute young woman named Alma in 1950s London. Save for both films being period pieces, there’s no clear connection between the two. However, The Beguiled and Phantom Thread share a peculiar plot device that illuminates a strong thematic link between the two stories: poisonous mushrooms. In both movies, women use cooked poisonous mushrooms against the story’s focal male character. In the final act of The Beguiled, Union soldier Corporal McBurney becomes dangerously violent after Miss Martha and Edwina amputate his leg. In order to neutralize the threat he poses, the women cook him a large dinner, serving him a dish of poisonous mushrooms that kill him almost instantly. 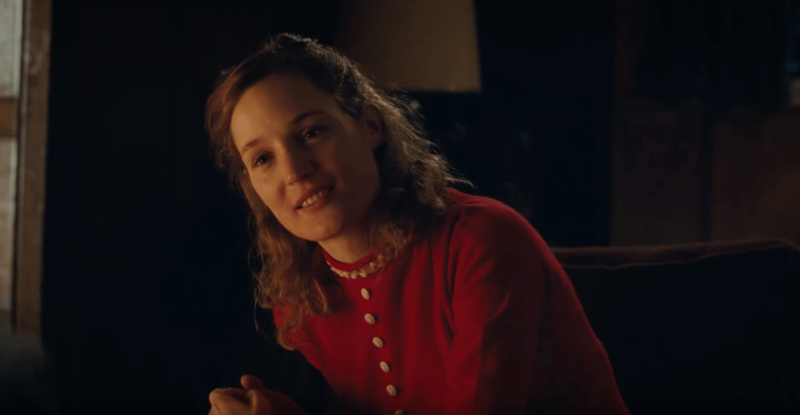 In Phantom Thread, Alma poisons Reynolds after he begins to exhibit increasingly cruel, self-centered, or as she calls it, “fussy” behavior. Unlike McBurney, Reynolds survives; cared for by Alma, he reemerges stronger with his love for her renewed. Despite these situational differences, the films use these poisonous mushrooms in remarkably similar ways. In both circumstances, the mushrooms serve to demonstrate a woman’s power and control over a man despite his perceived dominance. These films begin by fleshing out how men are presupposed to hold positions of power and authority. Reynolds and McBurney are characterized by tropes like the male genius and the war hero, respectively. Reynolds controls the House of Woodcock, an esteemed dressmaker surrounded by those that are employed or enamored by his genius. McBurney, injured in the war and fighting for a just cause, uses his charm win over the women and girls in Miss Martha’s school to secure his safety. It’s no coincidence that these men occupy spaces composed entirely of women. In Phantom Thread, his sister Cyril, his clients, the women he employs, and Alma make up Reynolds’ insular world. In The Beguiled, McBurney enters a home filled with only adult women and young girls, his injury affording him the ability to play the helpless victim. In both situations, the men use their status as the only man to their advantage, establishing a hierarchy that allows them to control women as they see fit. However, Phantom Thread and The Beguiled ultimately work to deconstruct this notion of male dominance and control. In poisoning Reynolds, Alma intentionally compromises his command over her and his world. Just a single cup of tea poisoned with mushrooms is enough to leave Reynolds completely incapacitated and dependent upon Alma for survival. Suddenly, Reynolds is not strong or powerful at all – his genius is trivialized by Alma’s control over him. The climax of The Beguiled works in a similar way. McBurney, no longer the charming solider he was, poses a grave threat to the women and girls of Miss Martha’s school. They feel powerless and fearful in his presence. Believing they cannot overpower him physically, they mirror the same charm McBurney exhibited at the start of his stay, cooking him a sumptuous meal complete with a plate of poisonous mushrooms. The mushrooms give the women of Miss Martha’s school the power to reclaim the safety stolen from them. In both films, the mushrooms are symbolically significant, representing the innate power women hold over men despite the institutional and social hierarchies that presuppose male dominance. It’s no coincidence that the poisonous mushrooms are closely aligned with a household cooking – a task that has long been associated as the responsibility of women. These films turn cooking into a weapon, one that can undermine, incapacitate, or even kill men. The reclamation of power and authority by women in these films is particularly impressive, not simply because it challenges typical hierarchies and power plays to which audiences are accustomed, but because it reframes the stories themselves on the women. 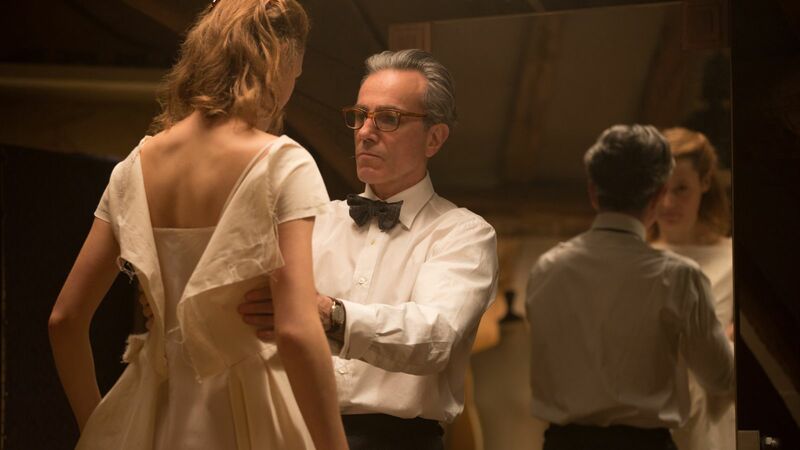 For example, Phantom Thread appears to be a story about an esteemed dressmaker when it is, in fact, Alma’s story; one of profound romance that embraces the more twisted side of human desire. In the end, Reynolds’ supposed genius is rather inconsequential to the story – one focused on Alma and her love for him. Coppola’s adaptation of The Beguiled, a story written by a man, takes a story that was once characterized by the caricature of female sexual hysteria and makes it about the strength and survival of women in the face of those masculine hierarchies that seek to control them.